Sometimes I just crave sushi. Actually, I’m lying. I crave sushi all the time. Like every day. Like sometimes I feel like my life is not complete because there is not enough sushi in it. Daniel doesn’t eat sushi. Won’t get near it with a ten foot poll. Sometimes I wonder if we’re truly meant to be because of this fact. Then I realize I’ll get over it. At some point. Today I was in serious need of a sushi fix and decided to whip some up at home. I won’t scare you with the photos of my homemade nori rolls. They were sad, sad little creatures. 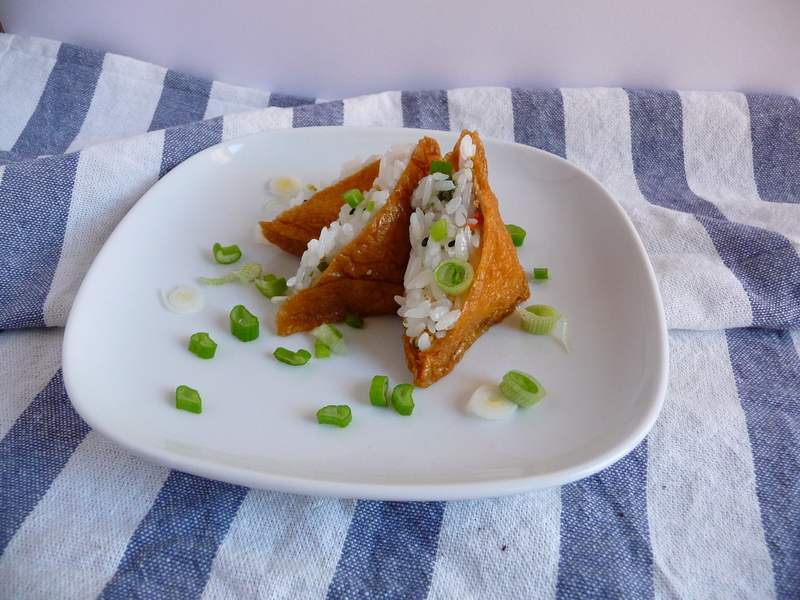 But my bean curd pockets turned out really nicely…with the help of a lovely little kit from the Asian market. I can’t believe I’m just discovering this. 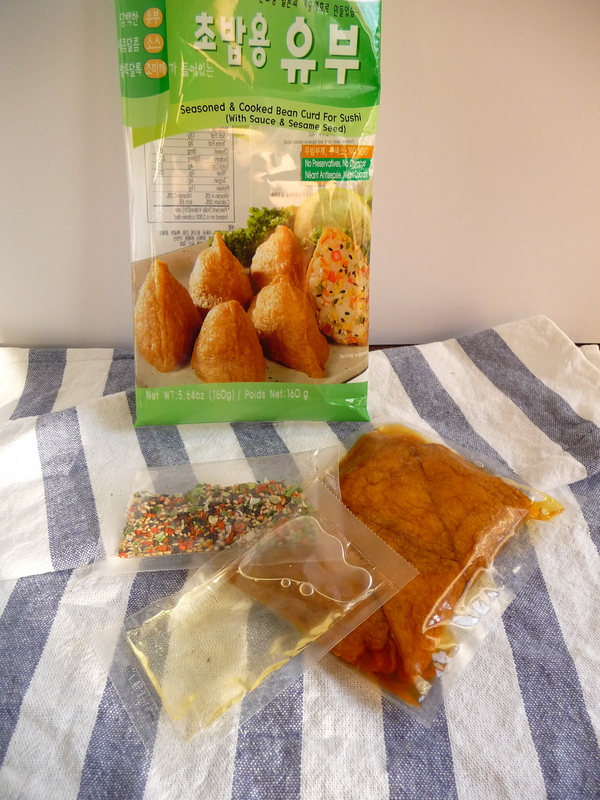 This little package (which was only about $3) contains the bean curd pockets, rice seasoning and a sesame mix for making the perfect pockets. And the directions are in English – major points! I cooked up some white sushi rice in my rice maker and let it cool slightly. Using a large wooden spoon, I stirred in the seasoning liquid (a more sour version of rice wine vinegar) and the sesame mix. The instructions tell you to dry out the bean curd pockets between paper towels and, once thoroughly dry and easy to handle, I spooned in the rice mixture. Topped with some chopped scallions, these made a delightful snack. Maybe I won’t crave sushi for a little while. Ha, doubtful.